League Competition No 5 Results added (click here). League Competition No 3 added. (click here). 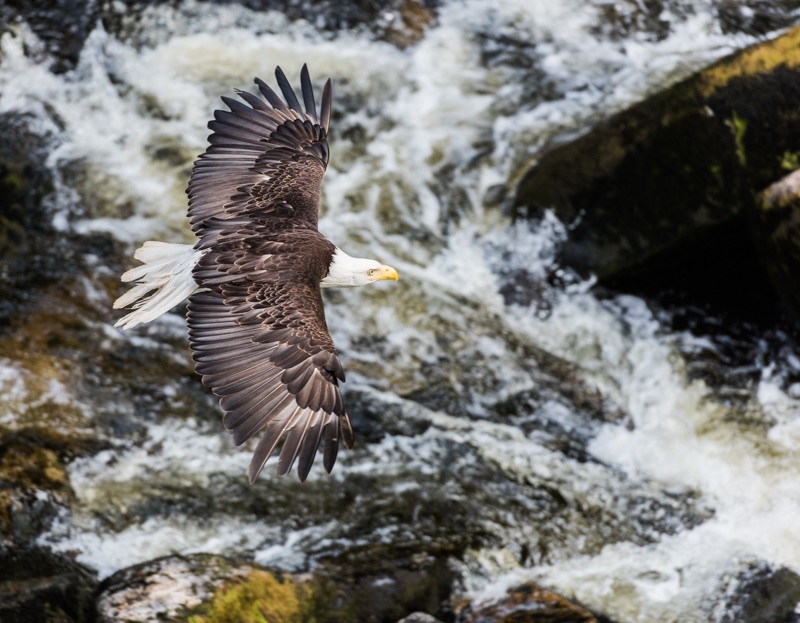 Congratulations to Club Member Graham Tarrant who submitted his image of “Bald Eagle in Flight” into the Exotic Wildlife Competition in the Outdoor Photography Magazine and had his image published in the July issue. The picture was taken at Anan Creek in Alaska while he was on holiday there. Super picture, Well Done Graham, keep them coming. Success at DAC for Alan & Mary Bevis. We are very please to announce that both Alan and Mary Bevis were very successful with their submissions to the Photographic Section at the DACA event held earlier this month at Purbeck School. They each received awards for every image they submitted, so well done Alan and Mary. This is a local event so perhaps more of you Club members would like to consider entering next year.